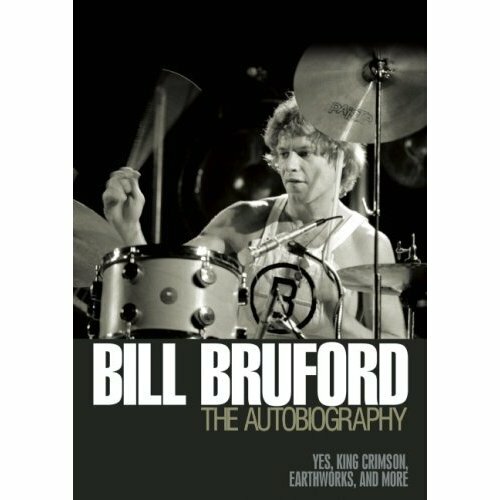 The new autobiography from Bill Bruford. It's always impressive to me just how SMART and well-spoken most of the guys from prog were, even if they were lower class (Bruford was comfortably middle-class). It's incredible as an observation on music in general and a meditation on the mechanics of being a musician, and mercifully free of 'Hammer of the Gods'/'No One Here Gets Out Alive' tales of rock excess and debauchery. There's a scary-sharp insight on every page, about the business of making and selling music - and the interactions and compromises that are what making music in a band are all about. I particularly like this quote: "For me, London and New York City have been reduced to a series of rehearsal rooms associated with one album or another, and all with a greater or lesser degree of torture, interspersed with long stretches of tedium. Quite commonly, the leader, which means the most opinionated of the assembled players, is the least equipped technically, and he depends upon a combination of threats and bribery to extract his preferred musical terrain from his better equipped and more docile colleagues."